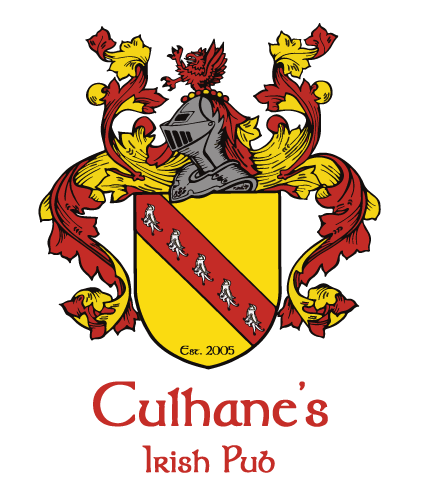 Chat with any one of the four sisters who own and manage Culhane’s Irish Pub, and she will tell you they’ve achieved the “American Dream”. Lynda, Michelle, Mary Jane and Aine’s fascinating story dates back to a childhood in Ireland, where they experienced an almost magical upbringing, working alongside their parents on the family farm. There, they developed a genuine love for the land, organic, quality food, Irish traditions and hard work — a mix of lessons and passions that are paying off today. 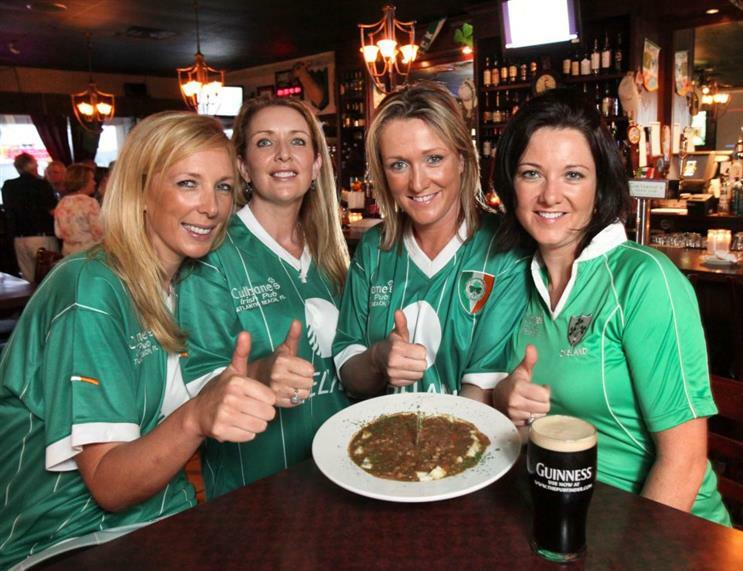 Their authentic Irish restaurant is one of the most-talked about establishments in its industry. Watch "Diner, Drive-In's and Dives"
Since opening its doors in 2005, Culhane’s has captured the attention of both everyday diners and culinary critics. 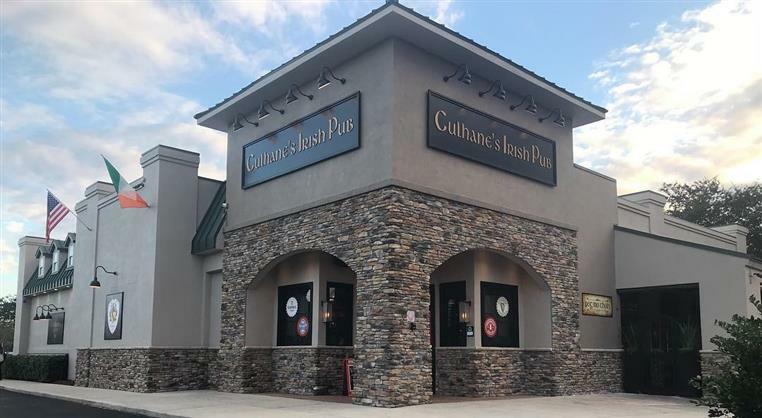 It landed a coveted spot on the Food Network’s “Diners, Drive-ins, and Dives” and has been covered by local reporters fascinated by the pub’s distinctive menu and entertainment options. Secret house spices and plenty of Guinness bring a fresh twist to Irish favorites such as Dingle Fish Pie, Corned Beef & Cabbage, Shepherd’s Pie, and Fish and Chips. Other savory delights are the pub’s famous Blarney Lamb Sliders and the hearty Dingle Fish Pie, which are “comfort foods” gone gourmet. “Many of our culinary specialties come from our mother’s kitchen, but our talented chefs have added their signature touches, too,” Mary Jane says. “It’s just a part of our goal in recreating that true Irish pub atmosphere that’s filled with friendly conversation, excellent fare and libations that would make our ancestors proud.” Also an established entertainment venue, Culhane’s honors Irish heritage with events such as live traditional Irish music every Sunday, Irish dancing, and famous bands like Dublin City Ramblers, Keith Harkin & Singers from Celtic Thunder, as well as catering to the intellectual crowd with trivia. 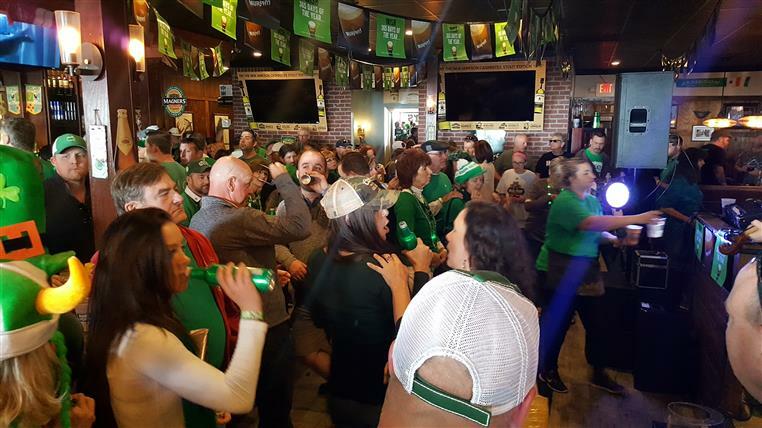 And if that and the food are not enough to put Culhane’s guests in the best of spirits, the sisters all possess the “gift of the gab” — an uncanny Irish knack for conversation and friendliness that makes everyone feel at home. International Sport Pub with 30 monster TV's, and the Premier Sports Headquarters for local and International games. 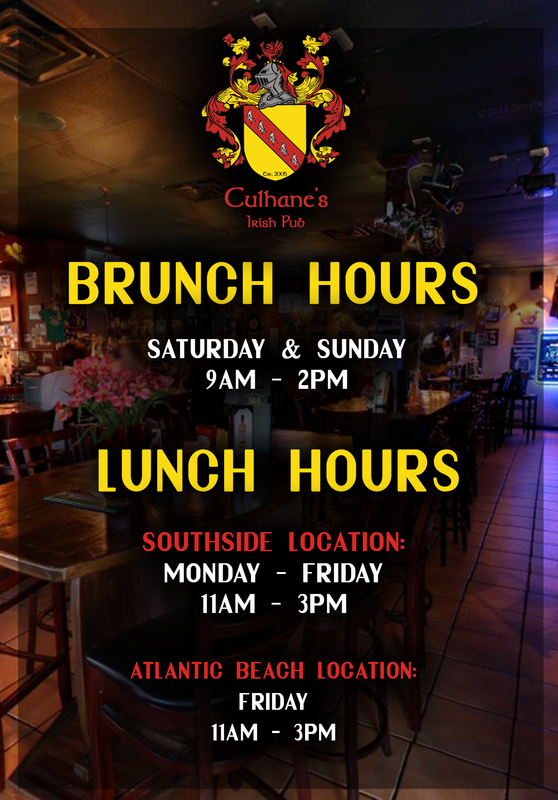 Culhane's Irish Pub & Restaurant Wows With Their Second Location!